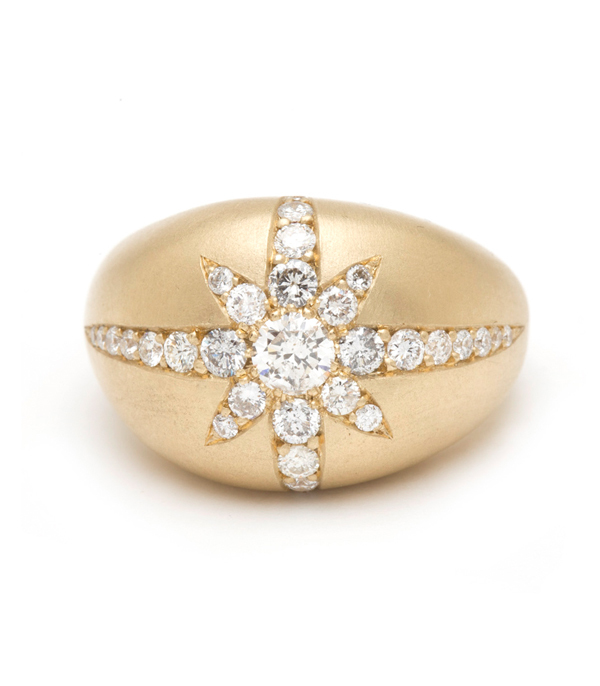 Inspired by the twinkle of a distant star, one of our favorite bold statement rings, this matte gold domed starburst ring with diamonds, shines some light wherever you are! THE cocktail ring everyone will be talking about! 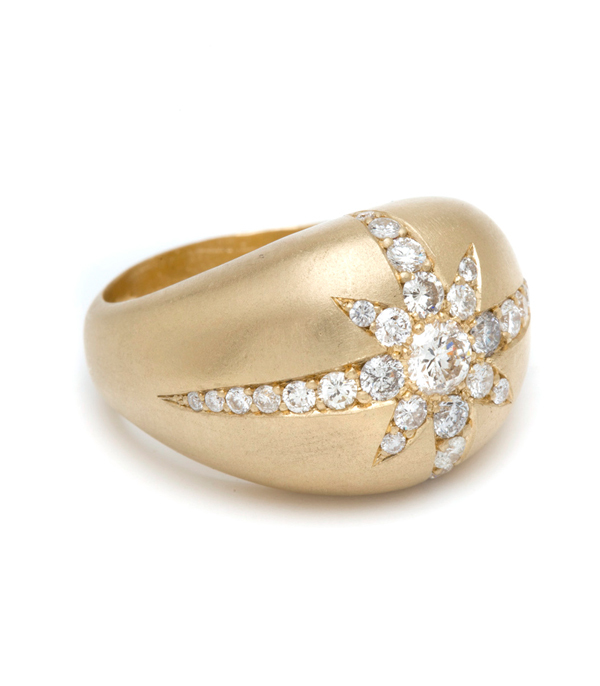 (0.99ctw) 14K Yellow Gold.